Russia: Stray Dogs and Football Just Dont Seem To Mix. Stray dogs and football just don’t seem to get along. The reason for the shooting of the dogs is an upcoming visit from the FIFA, where the city should deliver a good picture. Namely, Morocco wants the 2026 World Cup to be held in the North African country. Sadly, stray dogs are seen as a blight on the landscape – so Morocco wants to get rid of them – by shooting. Unfortunately, Morocco is not the only place where stray dogs and the football elite seem to clash. The World Cup is being held in Russia this year, 2018. 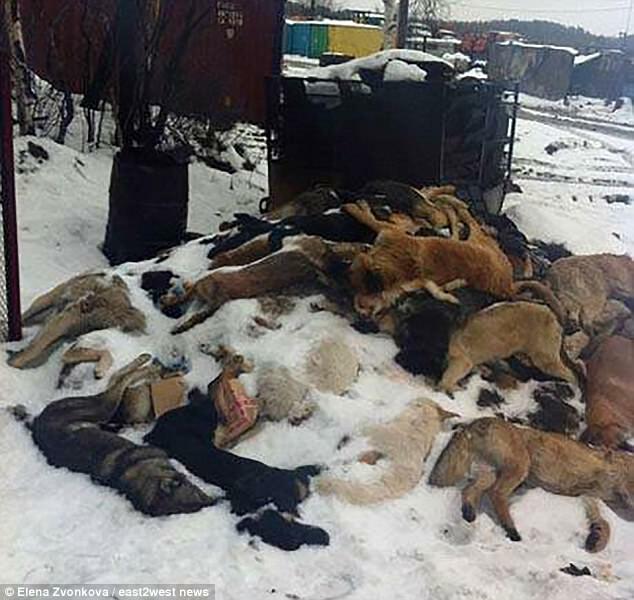 Russia is planning a mass slaughter of stray dogs ahead of the this year’s World Cup; despite assurances this will not happen, animal rights campaigners claim. Animal campaigners are furious that FIFA is turning a blind eye to the ‘butchers’ and refusing to press the Russian government over the ‘scandal’. Deputy premier Vitaly Mutko – Vladimir Putin’s ex-sports minister mired in controversy over the Russian doping scandal – recently ordered host cities to set up temporary animal shelters for the estimated two million strays in these locations. 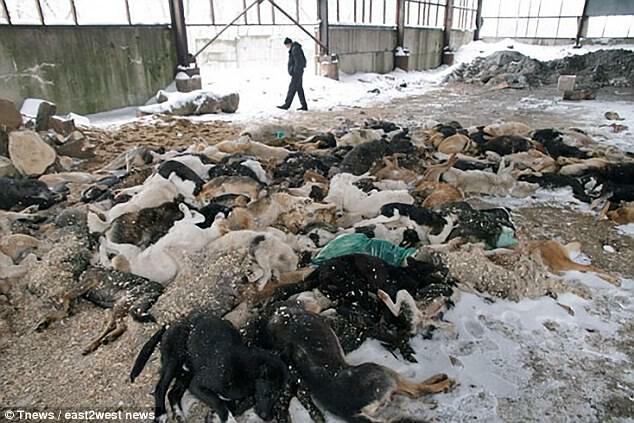 Is this not typical – Serbia being another – cash which could be spent on sterilising, immunising and caring for the strays in properly run shelters is again being used to simply kill animals. Governments and authorities appear to miss the fact that you cannot eradicate every stray dog in an area – and those left the cull will reproduce and gradually bring stray numbers back up to what they were before – or even more. This action by stray death squads does nothing to resolve the long term issue of strays in any location. It is a simple ‘short term hopeful fix’ by the authorities. We predict that many strays will be back on the streets within a very short time. Cities and towns may look squeaky clean whilst those oh so well behaved football fans roam the streets; but shooting strays to clean up any town is a short fix which will not last. It appears that the Russian authorities, just like the Serbian government; are too thick min the head to understand this. But then maybe they want the corruption associated with a never ending supply of stray dogs to be killed. Some people in high places are getting very rich out of a never ending supply of strays which they can kill and claim back money off the government for. In Serbia for example, just one stray killed can get a government bounty payment of up to 500 Euros paid directly to regional authorities from government funds. And the average wage in Serbia ? – about 300 Euros per month. Big money to be made by some from endless stray dog killing as we have always said. But the EU, OIE and the rest of the big players just do not really want to listen to us or more importantly, do anything about this corruption that is ‘stray dog control’.